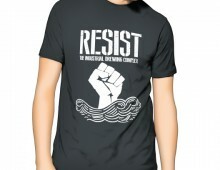 I had an amazing opportunity to design a shirt for the new up and coming brewing opening up in Ybor. With craft beer on such a rise in the past couple years, it has to be known to break free from the tyranny of the beer overlords and know what it means to drink good beer. Client wanted a shirt that expressed this movement. And this was the awesome result.